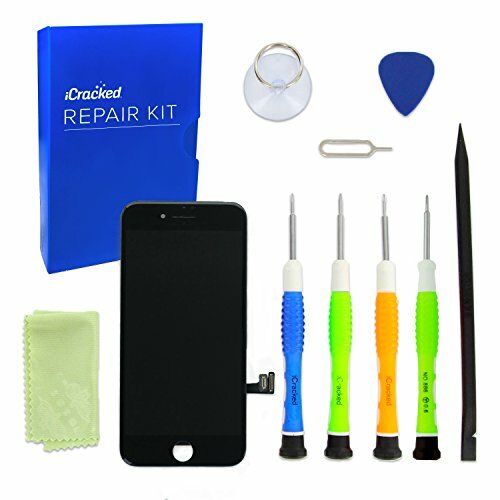 This is iCracked's Premium iPhone 7 Plus Screen Replacement Do-It-Yourself Repair Kit! As the largest smartphone repair company in the world, we exist to make sure our customers are taken care of with the best parts, tools, and instructions. iCracked refuses to sacrifice quality on any part or service. Our customers love our Lifetime Warranty and our outstanding customer service! that was defective and caused an unsuccessful repair. Your device is $500-$700...Why risk ruining it with sub-par parts? Do the repair correctly the first time and be covered by our warranty and guarantee! Replace your broken iPhone screen in only 1-2 hours! Kit includes all parts and tools you need to complete a successful repair! Comes with access to our step-by-step instructions and detailed repair videos! The iCracked Support Team is here for you if you ever need help! Don't forget about our Lifetime Warranty! If you have any questions about this product by iCracked, contact us by completing and submitting the form below. If you are looking for a specif part number, please include it with your message.